Pick up by tour guide. Land transportation to Queretaro. Visit of historical city that played a leading role in the struggle of independence. 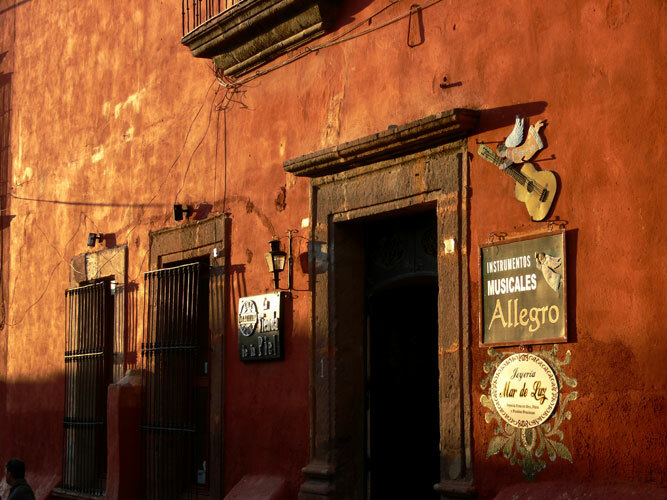 Continue to San Miguel de Allende which fascinates with its narrow cobblestoned streets, elegant houses, flower decked patios and the pink Franciscan church. Overnight in Hotel BW Monteverde Express or similar. 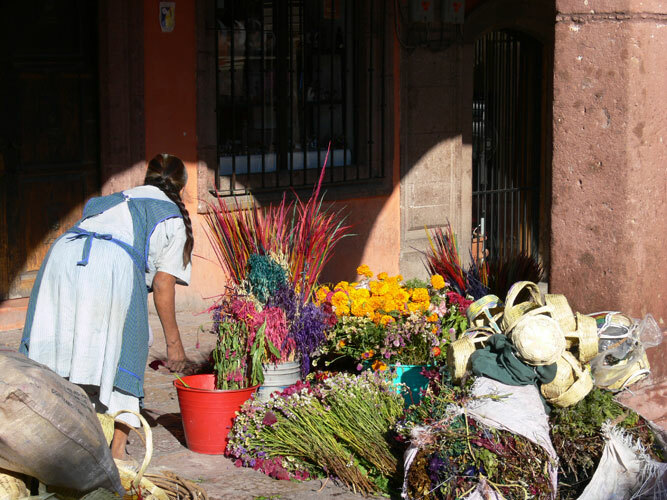 Transfer to Guanajuato, Mexico’s oldest silver mining town built into a ravine. 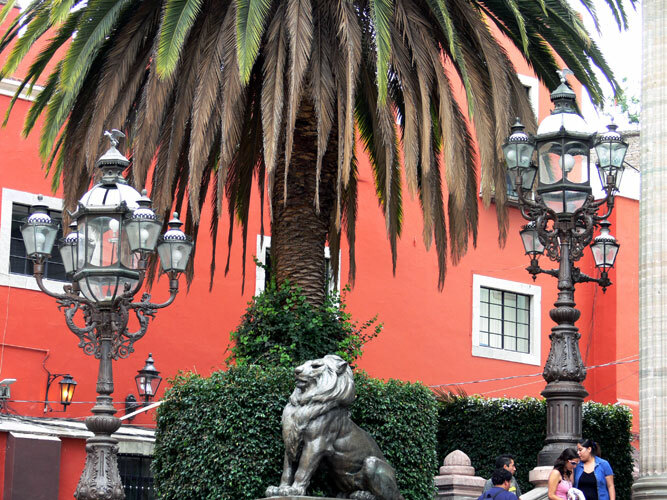 Unique its maze of narrow streets and alleyways, outstanding its colonial architecture. 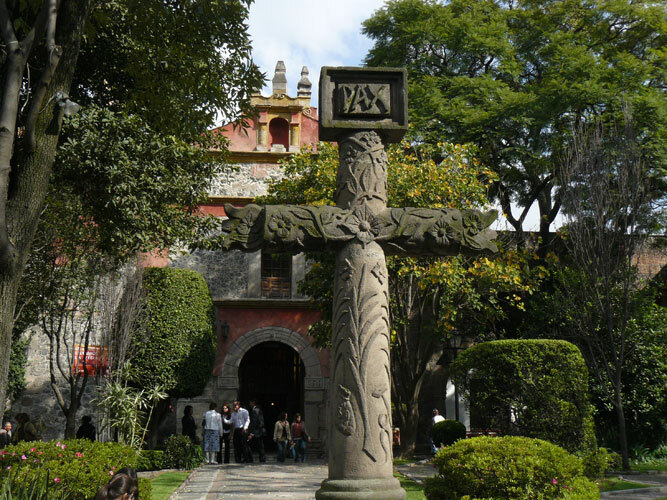 Enjoy the arabesque University, magnificent Teatro Juarez and its unique subterranean roadways. Overnight in Mision Guanajuato or similar. 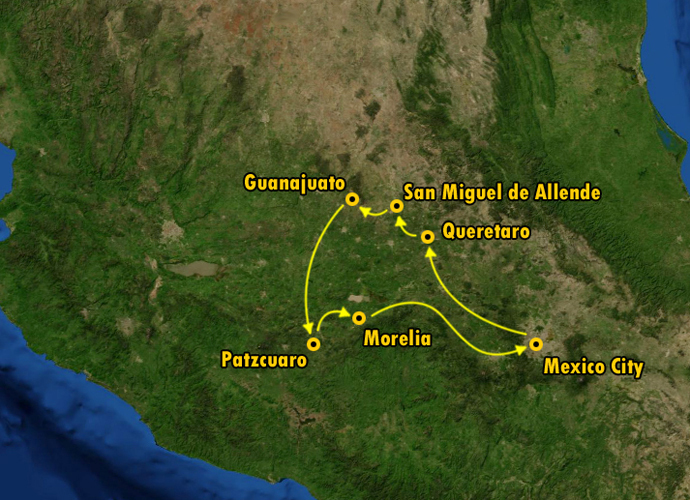 Early departure to Patzcuaro which is located on southeastern shore of Lake Patzcuaro. 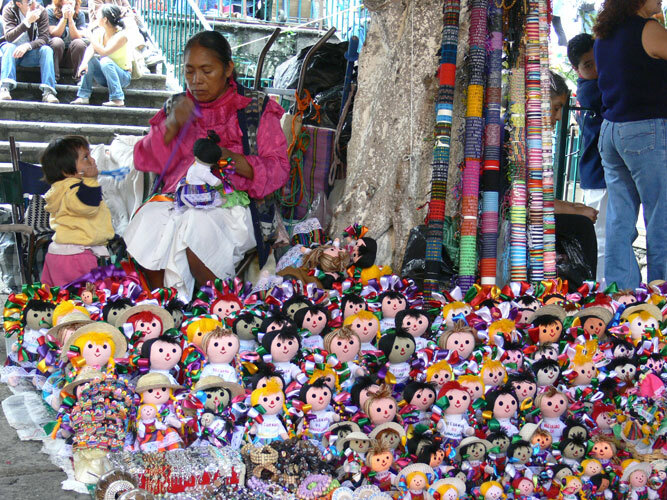 It is a beautiful tranquil town where you can find Mexican handicrafts like ceramic, wooden carvings, copper, woven goods and even furniture. Late afternoon transfer to Morelia. Overnight in Hotel Catedral or similar. 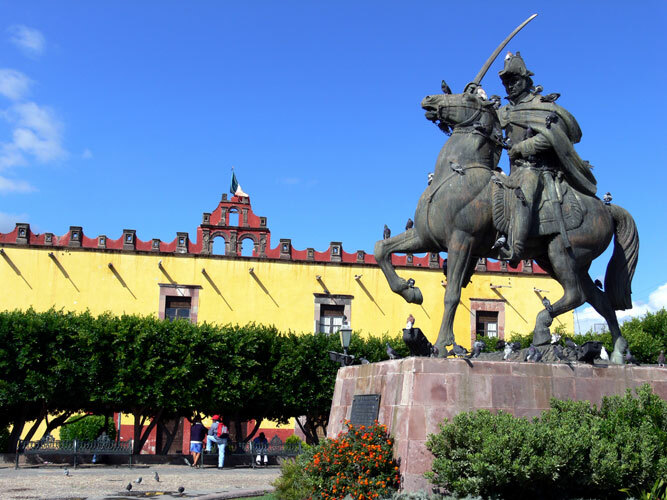 City tour of Morelia known as the aristocrat of the Colonial cities. 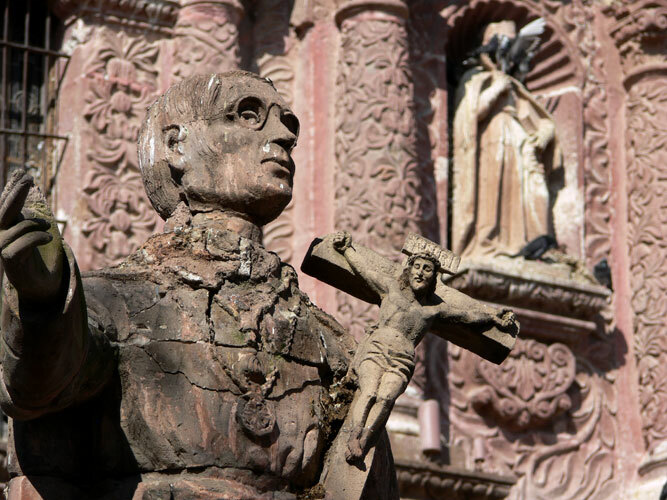 Fine sculptured churches, colorful plazas and numerous arcades make Morelia still look today like a Spanish city. Afterwards con-tinuation to Mexico City. Drop off at hotel of your choice. On request also bookable as a private trip, with english speaking driver / guide, daily departures.